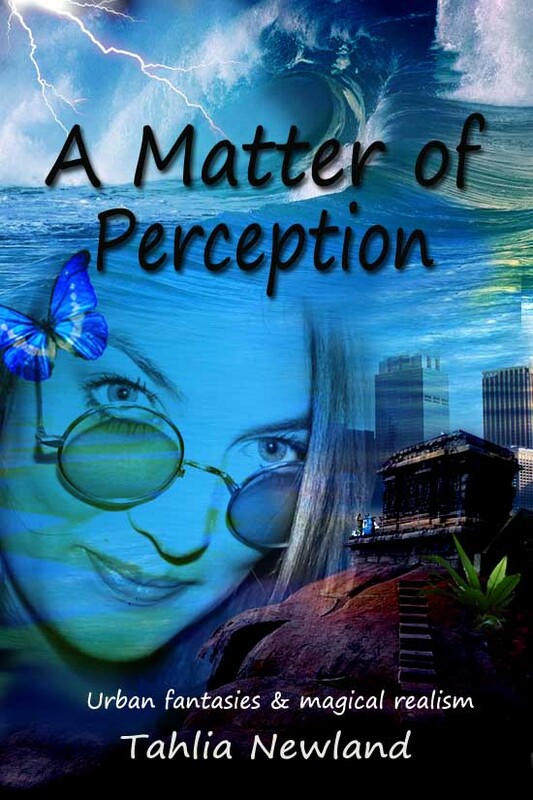 A Matter of Perception is a collection of short fantasy stories by writer Tahlia Newland. There are underlying themes of love and redemption as well as an overall theme of perception and how each character uses how they perceive a situation to change the course of their lives – for good or bad. It begins with The Drorgon Slayer’s Choice, a story filled with gods, monsters and love. This is an exploration of the hero’s perception of what is happening around her – is she really seeing monsters? When no-one else sees what she does she must question what she believes and how it affects her actions. On the other hand, The Boneyard is all about assuming one thing when the reality is quite different. When the hero’s lover is lured by sirens she has to save him but at what cost to herself? Mistril’s Mistake looks at how following your heart can lead to some really bad decision making resulting in far reaching consequences. While A Hole in the Pavement is about self esteem. When the hero wants to meet the girl that travels on the same bus as himself, his fear gets in the way, creating big holes that he must learn to climb out of. Not Me, It Can’t Be takes a look at dying, shifting between two realities and exploring the attitudes of the two heroes as well as those around them. Finally, The Rose Coloured Glasses is a story that compares how the hero feels, in other words what mood she is in, to how she sees and reacts to people and the world around her. These short stories offer a look at the human condition of perception – what a person sees is often nothing like how another person perceives exactly the same situation. Newland’s exploration of this offers an interesting viewpoint and the stories are thought provoking. Each ends with a dilemma either conquered or reached to the point that the question is what will happen next, beyond what the reader has seen on the page. And love is certainly an important element either as self-love and the importance of how an individual looks at him or herself, or else as the passionate love for another and how it can lead a person to act heroically or irrationally. Ultimately, A Matter of Perception’s stories have a positive tone and satisfying endings. It is certainly worth a read. 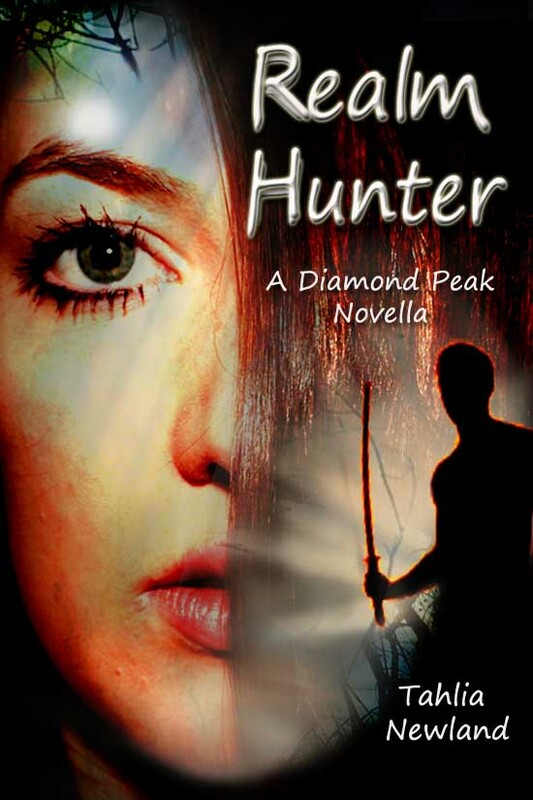 Also coming soon from Tahlia Newland Realm Hunter – a Diamond Peak novella. Available in December 2011. A philosophy student falls in love with a handsome shadow slayer, but their relationship jeopardises the fulfilment of his destiny in another layer of reality that she cannot see or enter. When his master orders him to leave the mundane world for ever, she must find the entrance to the hidden realm and penetrate the veil between the worlds or she will never see him again. I’ve been away for a few weeks and out of contact with the ‘rest of the world’. Coming home I found myself glued to the telly as I watched the floods unfold in Queensland and now in my home state of Victoria. I marvel at the force of Nature — and how deluded we humans are when we think we can control it. My heart goes out to all who have been affected. And I guess in the scheme of things that’s the most we mortal human beings can ask for — to live through the event. Our lives are precious, much more so than our possessions. Although that doesn’t diminish the loss of everything you own in life. In fact, I remember when family friends lobbed onto our doorstep on Ash Wednesday (South Australian and Victorian bushfires that occurred on 16th February 1983 and which resulted in the loss of 75 lives and nearly 4000 properties). It was about 4 am and they had to flee the fire as it roared up over the hill and into their township, Cockatoo. They thought they could fight it but the severity of the ‘firestorm’ was such that they had to leave with only seconds to spare. They evacuated with little possessions — actually, it was a basket of dirty washing — and without knowing what had happened to their beloved pets or their home. When they finally got the okay to return it was to a pile of ash. Miraculously, their pets were all waiting on the doorstep — the only sign of what they had been through was one cat had a scorched tail. Who knows how those dogs and cats survived but they did! 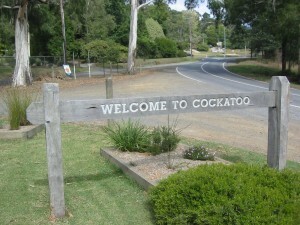 Cockatoo was decimated with only a few houses left. Six people died because they couldn’t get out in time. So needless to say, our friends, although absolutely devastated by the loss of all their possessions — apart from the dirty washing, that is — picked themselves up, rebuilt and got on with their lives. I am sure that it affected them but they become survivors and not victims. How would a disaster affect your hero? Of course, being a writer means that I think about how a catastrophic event like this would affect someone. I guess it would occur in stages — the lead up to the event, the event itself, the aftermath and then life beyond. The question, as a writer, I ask of any character that goes through this is whether they are a ‘victim’ or a ‘survivor’. Victims tap into the pain and tend to remain stuck in the moment. Survivors feel the pain and understand that life goes on – it may take a while but they eventually move on. When you create a character it is vitally important to think about this — because whichever way your character tends toward — victim or survivor — will dictate exactly how they react when a momentous event like a flood occurs in their life. Will they rise above it? (No pun intended!) Will they let it dominate their life? So what is your hero? A victim or a survivor? And do you think it matters? When I met my publisher for the first time — well before he was actually my publisher — I was incredibly nervous. Would he like my idea? Could I persuade him to take me onboard as one of his authors? I knew that he liked what I’d written — the first 50 pages at least — but I needed to convince him that I could come up with a great rest of the book. So over coffee I pitched my first book. I must have done okay because he not only took me on as one of his authors but he also paid for the coffee! During the pitch I made it clear that this was the first in a trilogy — and part of that pitch was to say that the next two books would each be from a different character’s point of view. This sounded like a great idea at the time and I have even begun writing the second story with this in mind. However, the feedback I’m getting from people who have read Mis’ka: Rite of Ascension is that they are expecting the story to continue with Mis’ka as the central character — the hero/protagonist. And I think that they are right. Although the other dominant characters, Hetat and Gable, are intrinsic to the story — they do not need to lead the action. So what’s a writer to do? I have gone back to what I’ve written and am rewriting to tell the story through Mis’ka. Just before the auspicious day my computer decided to crash – again. Ironically I was just backing up my files – in a ‘just-in-case’ scenario as it can take time to retrieve them when they are backed up remotely online. I had done my research and chosen a suitable portable hard drive. Jumped in the car, zoomed down to the local shopping centre (that’s a mall for you non-Aussie residents), found the desired shop and purchased the hard drive. In fact, I discovered that the portable hard drive came in a 500 gb size or, for just $10 extra, a 1 terabyte. Naturally, I went for the Mr Big version! 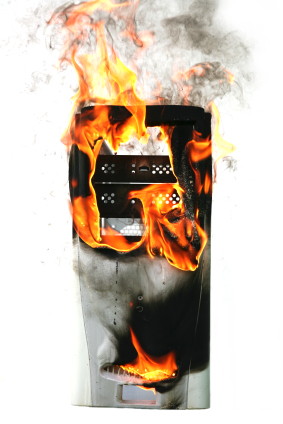 My computer has crashed and burned – yet again! Alas, as I was connecting it up my computer froze and nothing happened. I repeated the process but then had to assume that my computer was kaput. Of course, there was a call to my brother (mentioned here) who gave me some advice (by then I was rather teary) and told me to drop it into his place and he’d take a look. Which he did. But the motherboard has burnt out and so my trusted 4 year-old machine has departed this mortal coil. In the mean time – the email with all my Blog Jog Day information was lost in the darkness of my now dead computer and I had to contact the lovely Carol Denbow to send me the info again – as I didn’t have her url or email addresses I had to do some back-tracking-come-sleuthing. I had pre-prepared a lovely blog message but it too was lost in the darkness so I had to start from scratch. …both for Blog Jog Day and with the files that were ‘stuck’ inside my computer. Luckily, my talented, lovely, kind brother (yes, there is a touch of sucking-up involved here – as well as one of my kidneys should he ever need it) has shifted the hard drive into a cover and now it is portable! Terrific work! I now have two hard drives to back up my files as well as the remote server I use (MOZY http://mozy.com/). Talk about ‘phew’! Linda – the book is in the mail! Now that I have access to all my research and notes, next time I will continue on with my writing journey. Thanks for taking the time to visit my blog, this Blog Jog Day. Please explore – as you will see I’m pretty new to this but have a lot to offer. When you’re done jog on over to http://stuartaken.blogspot.com/. Or if you want to visit a different blog in the jog, go to http://blogjogday.blogspot.com. It is the month of November and I have been attempting to do NaNoWriMo – the amazing event where a writer taps away at the computer non-stop for the entire month of November and writes at least 50,000 words of a novel. NaNoWriMo - what was I thinking? Theme versus premise – is there a difference? Your story must have a premise. The premise is the core, or if you like, the frame upon which all else is built. The premise is often called the theme but in fact, they are two totally different things. For instance, the premise of the film The Sixth Sense is “a small boy sees dead people” but the theme is “unfinished business”. While your theme must be present in all your scenes/chapters, the premise is about the purpose of your story. What does this mean? It’s a bit of a Catch 22 thing – in order to decide what your story’s purpose is you need to know your premise but in order to know your premise it helps to know your story’s purpose! Phew! So how do you discover what your story’s premise is? Believe it or not, it is actually very easy to do this. But only after you’ve decided who your protagonist is – but I’ll get to that another time. To discover your premise simply work out the most important characteristic of your central character. Then discover how they react to the ‘conflict’ in his or her story. Then how your story concludes. 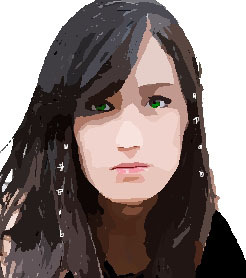 An example is from my novel – my central character is Mis’ka. Her most dominant characteristic is that she is courageous. What must she do with conflict? She must try to overcome it – succeeding sometimes, failing at other times. In the end the conclusion is that her dominant characteristic allows her to beat all obstacles. In The Sixth Sense the premise is “a small boy (character) sees (conflict) dead people (conclusion)”. By the way, many people think that ‘conflict’ involves physical fighting but in fact, conflict is anything that is an obstacle for your character. 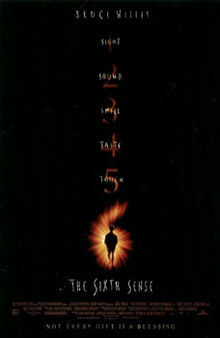 Again, in The Sixth Sense the conflict the small boy Cole experiences is that he ‘sees’ dead people – and it terrifies him, preventing him from leading a ‘normal’ life. The reason why you need to know your story’s premise right up front is so that when your hero reaches a conflict you, as the writer, will know how your character will react – or even if you want the hero to act out of character knowing the premise allows you to play around with your character’s behaviour without confusing your audience.. The outcome doesn’t matter because any good story has ups and downs in the hero’s journey (otherwise it isn’t a story!). This allows you to let your character ‘grow’ during their journey. In fact, the only reason why your character is on a journey is so that they can grow and go back to their life (when the adventure is over) as a ‘better person’! Back to the premise – by having this premise (usually written on a post-it note and taped somewhere for quick and easy reference!) if you find that your story is stuck and doesn’t appear to be going forward – or worse, you are writing and writing and it’s just not feeling ‘right’ – it is because you’ve strayed from the premise. Always sit back and ask yourself “what would my hero do now?” and check that post-it note – because your hero only ever behaves in a way that is true to his or her nature. This way, your hero will get to the end of his story exactly as you want him to – and your story will flow. Ultimately, your premise can be described as a thumbnail synopsis of your story. So don’t change your premise half way – if your story isn’t working it is because you have forgotten your premise – return to your premise and your story, like magic, will start to flow. And if you have more than one story thread with more than one hero, each must have their own separate premise – but it does help to have the same theme for all as this will keep each story tied together.